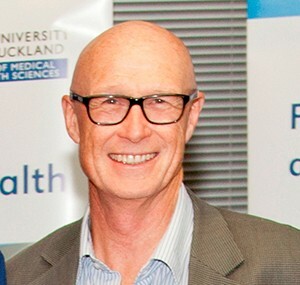 Lobbying and many other tactics from the junk food industry to defend their products and sway public policies are commonplace and influential, according to University of Auckland global nutrition expert, Professor Boyd Swinburn. He was co-author of a just published, Australian study that interviewed high-level people, including former politicians and civil servants with first-hand experience of these corporate activities. The study was published in the latest Australian and New Zealand Journal of Public Health. “The same tactics will be occurring in New Zealand and this would explain the very slow progress in using public policies to create healthier food environments,” says Professor Swinburn. “The junk food industry has well-oiled and well-funded machinery to block policies which might threaten their profits,” he says. “This explains New Zealand’s lack of progress on policies such as taxes on sugary drinks, restrictions on marketing junk food to children and healthy food service policies for all schools and government agencies. Professor Swinburn says the main tactics used by the industry identified in the study included framing the solutions to obesity in terms of personal responsibility, using private dinners and other opportunities for lobbying politicians, cherry-picking and promoting the evidence to suit their case, promotion of deregulation and self-regulatory approaches, funding professional nutrition organisations, sponsoring children’s sport and nutrition education materials, and personal criticism of public health advocates. “The direct influence of the lobbyists on politicians (“we have friends in high places”) and the ‘revolving door’ of former politicians working for the food industry and former food industry employees working in government, were also common strategies mentioned to influence food policies in favour of the industry,” he says. “Our research also came across examples of how proposed new health policies and industry regulations were axed because politicians didn’t want to upset major political party donors. “The food industry directly supports the major political parties in many countries and this clearly buys them influence with the politicians,” says Professor Swinburn. He also noted that all of these tactics uncovered by the study were legal ways for a big business to improve its financial performance, but the public should be concerned about how they have been effectively used by the industry to prevent serious action on preventing childhood obesity. “In terms of solutions to counterbalance industry’s power to obstruct progress towards healthier food environments, the first step is greater transparency – sunlight is a great disinfectant,” he says. “Food industry disclosure of the funding they provide to researchers, professional bodies, community groups, lobby groups and political parties would be a good start. “More stringent conflict of interest processes, lobby registers and greater involvement of community and expert groups in the policy process would also protect politicians and government agencies from being unduly influenced by the commercial interests of the junk food industry,” says Professor Swinburn. ‘Maximising shareholder value: a detailed insight into the corporate political activity of the Australian food industry’ was published in the Australian and New Zealand Journal of Public Health this week. Melissa Mialon, Boyd Swinburn, Steven Allender, Gary Sacks. All the authors are associated with the World Health Organisation Collaborating Centre for Obesity Prevention, at Deakin University, Victoria.